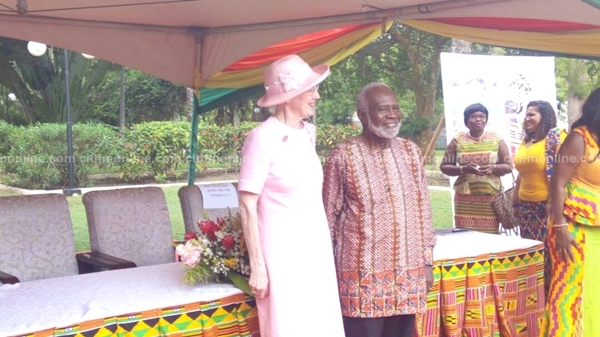 The queen of Denmark, Her Majesty Margrethe II today [Thursday], November 23, 2017, paid a courtesy call on the Osu Mantse, Nii Okwei Kinka Dowuona VI, at his palace, as part of activities marking day one of a three-day historic state visit to Ghana. 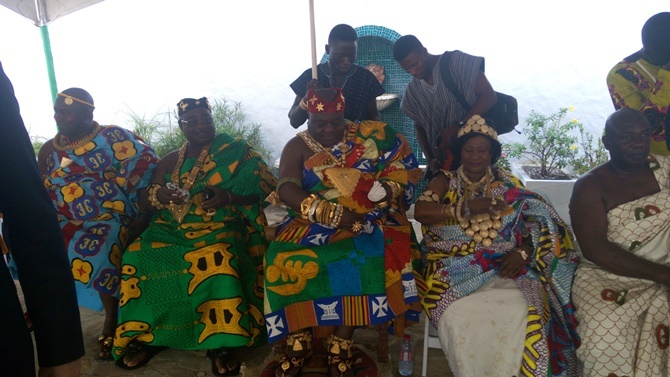 She made her second stop at the Osu castle, where she met with members of the national and regional house of chiefs, and also witnessed a book launch by celebrated archaeologist, Professor Henry Wellington. The book, titled “Stones tell stories at Osu: Memories of a host community of the Danish” contains found memories of the Danish in the Gold Coast. He presented the first copy of the book to the queen to show appreciation. 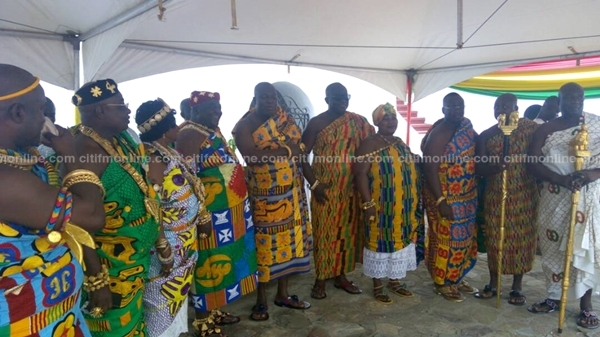 Speaking at the book launch, Ghana’s Minister for Tourism Culture and Creative Arts, Catherine Afeku, said the visit by the queen is a reaffirmation of the close bond between the two countries. 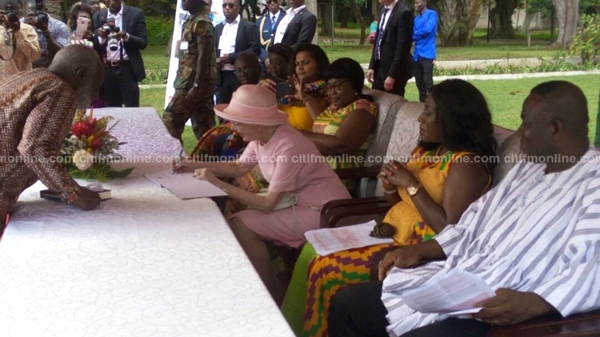 She added that, Ghana will explore available business opportunities during the queen’s visit. The queen’s last stop was at the Arts and Design Centre where she met award-winning sculptor, Constance Elizabeth Swaniker. 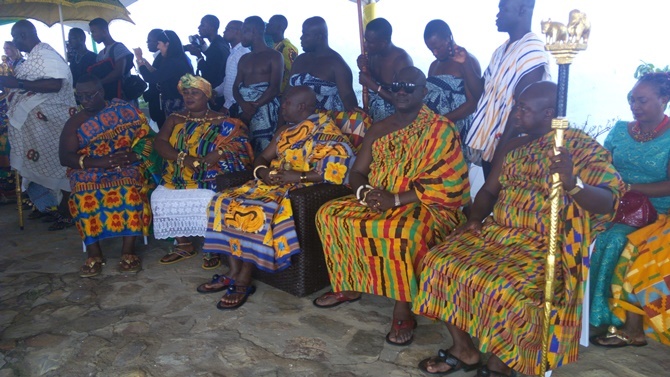 The Queen’s three-day visit to Ghana marks her first visit to West Africa since she became queen of Denmark in 1972. She was accompanied by 39 Danish investors. 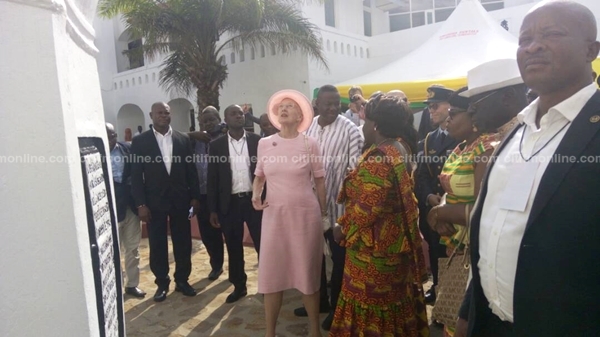 Ghana and Denmark have enjoyed strong diplomatic and commercial ties over the years, and this visit by the Queen, who will be joined by representatives of Danish companies and business organizations, is further aimed at strengthening same. 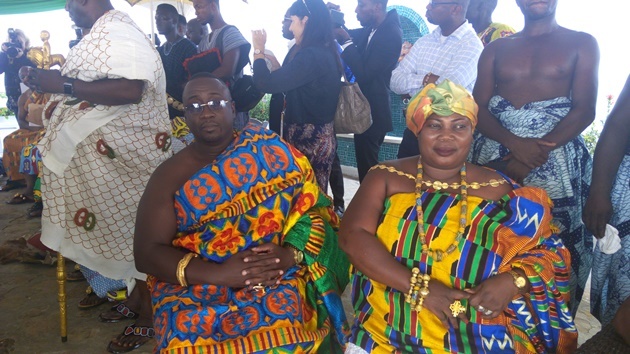 The visit will include seminars and meetings under the theme “Ghana – an Emerging Market within Reach” which will focus on food and agriculture, sustainability, maritime, railways and other infrastructure. The visit is to pave the way for Danish eco-technology and Danish food products on the growing West African market. The Danish Minister for Environment and Food has high expectations to the trade mission, saying “Ghana is currently demanding some of the food products and technological solutions within which Denmark holds a strong position. However, even though Denmark has strong solutions, the potential for Danish exports to Ghana is far from realized. Therefore, it is important that we promote Danish businesses, so they are first in line when Ghana invests in food products or in water and eco-technology,” said the Minister for Environment and Food, Esben Lunde Larsen. 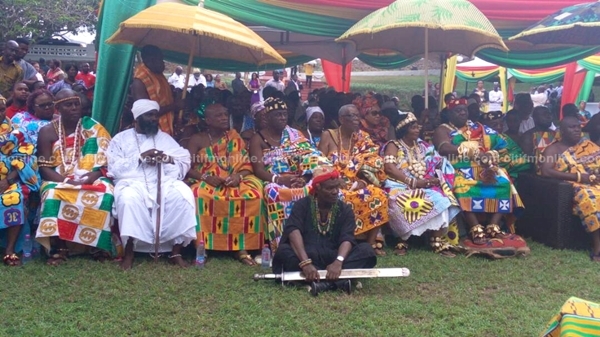 •Ghana has 28 million inhabitants. •Ghana was Denmark’s 84th largest export market in 2016, corresponding to DKK 272.7 million (around EUR 37 million) or 0.04% of total Danish exports. •In the first seven months of 2017, Danish exports to Ghana rose to almost DKK 1 billion (EUR 134 million). •The Danish International Development Assistance (Danida) has been active in Ghana since 1989, but the Danish development aid will now be phased out and cease entirely in 2020, as Ghana became a middle income country in 2011.